I have lost family members to Alzheimer’s. I have several friends who have lost family members to Alzheimer’s. We are losing a friend of 35+ years to Alzheimer’s, and he is in our age group. “I’m not usually one for sharing super personal things online, but this is a struggle I know many have gone through and may yet have to. I saw my dad this past Christmas for the first time in several years. Living so far away, I had heard from my sisters and mom how quickly his Alzheimer’s had progressed, and I thought because I understood it logically that I would be able to handle seeing him in person. That was…not the case. I had to turn away to hide my tears because it was just so clear how far gone he is. It was painful to hear him ask me if I was dating anyone (when he was at my wedding several years ago) and to describe living with his parents, who have been dead now for 51 years. And then to turn around and call me Katybug, as he always did when I was a kid. Some things are there and some aren’t. I’ll be honest – going through this with my dad has been a drawn-out mourning process. I catch myself referring to him in past tense as if he were already gone, and honestly…in a lot of ways, he is. The difference is that he’s technically still around, and my grief over his loss has been extended over a decade rather than hitting all at once if he had died. Part of me feels like when he finally passes away, it will be easier because I’ve had time to process it (and because I know the happiness that awaits him on the other side). But if my experience this Christmas is any indication, it may not be after all. Sobering thoughts from a young lady in her mid-twenties. She has two younger sisters, who are probably feeling and thinking the same things. I was twenty-five years older than Katy when my uncles and my aunt started experiencing the effects of this disease. It was terrible to watch. Seeing a loved one you’ve known all your life as vibrant, active, full of life, turn into someone who sometimes doesn’t know who you are or anything about you is heart-wrenching. I watched my mother’s oldest sister as she went through the stages of this disease, and although, like Katy, I wasn’t there all the time to see her descent into the valley of Alzheimer’s, along with hearing almost daily reports from my mother, I also saw Aunt Mary every couple of months, and the change I saw in her each time was terribly upsetting. She progressed to where she didn’t know where she was or what she was doing, or even who she was. Many of you thankfully haven’t yet been touched by this disease. Oh, you may think you have because you’ve heard of a favorite celebrity who’s affected by it and think, “Oh, how horrible this is. They’re so great, so talented, what a shame. I feel so bad for them.” And then you forget about them. You have no idea. Until it’s personal. Then it hits you. Then you understand. What about my uncle who rose from being a minimum wage office boy to the comptroller of an international corporation? He developed Alzheimer’s and died not knowing who any of us were, or who he was, not knowing how to even eat or button a button. What about my friend’s mother who not only raised five beautiful children, but had been a popular teacher, a successful realtor, and a deacon in her church for years? Who at the end of her life couldn’t speak, or focus her eyes on anything, or even pray to the Lord she had served most of her life. What about another friend’s mother whose savings were depleted because of her illness and had to be placed in a state-sponsored facility because her children couldn’t afford anywhere else? Her mind would still function briefly but in her times of lucidity would cry out for her own parents who’d been dead for fifty years or more, because she thought she was a teenager and still living with them. There are as many different stories of Alzheimer’s patients as there are people who suffer with it. Yes, it greatly affects the person who has it, but we cannot forget that person’s loved ones who are living it day to day in a different way. The patient doesn’t know he or she isn’t remembering things; to them, everything is just the way it should be in their own private world. But for those of us whose loved ones are going through this, it’s a nightmarish reality that never ends. We try to rationalize their behavior and deny anything is wrong until we are finally forced to admit what’s happening. 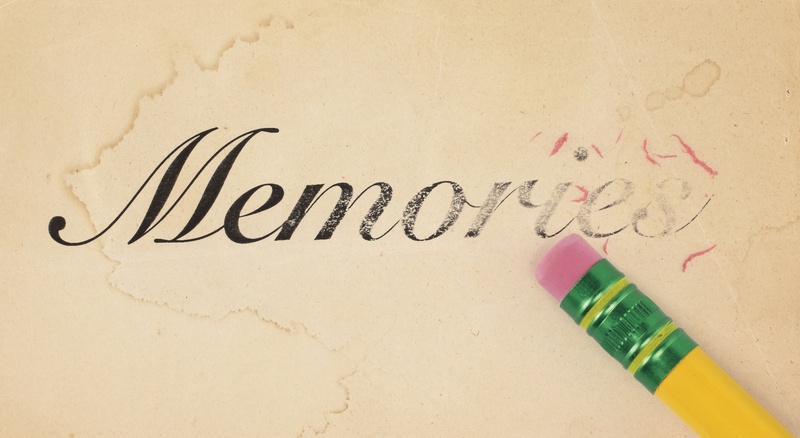 We cannot bring back our loved one’s memory; we cannot rationalize the “new normal” our loved one has become. They may still look like that person, but there’s a vacancy in their eyes and a look on their face that tells us everything is forever changed. We desperately want them back, but it can’t happen. And yes, we mourn. As Katy, said we mourn while they are still alive because the person we knew them as is no longer there. We mourn our own loss of the last few years with them. We mourn because there are grandchildren missing out on knowing their grandparents. And we mourn because our loved ones are missing out on even more. Fortunately they don’t realize it. But we do. And, like Katy, I cannot help but wonder if I will be on that road as well. And if that time comes, I may not even know I’m on that road, but my daughter and grandchildren would, and I cannot bear that thought. One day, please, let there be a cure, as well as a prevention, for this awful disease. Before it grabs any more of us.